Home / Blog / A new partner in the fight against hunger. 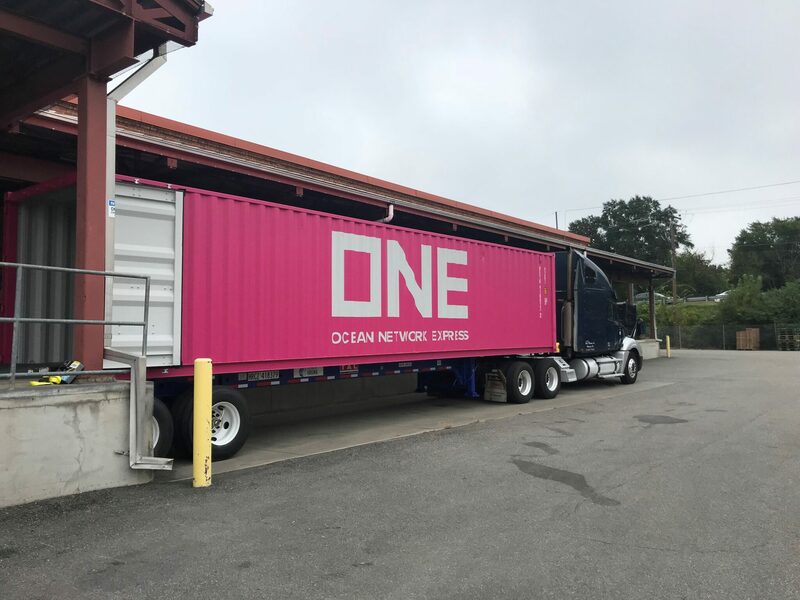 In October, we were thrilled to be the recipients of Ocean Network Express’ (ONE) first annual Mission Magenta Fill the Container food drive event! A new partner to Feed More, this international shipping company delivered 7,728 pounds of food in one of their signature magenta shipping containers. “While researching where we wanted to donate, we really loved the wide range of programs Feed More provides on a regular basis for the local Richmond community,” shared Matthew Freeman, Marine Product and Procurement Manager at Ocean Network Express. Through their own employees and several of their vendors, ONE was able to collect some of our most needed items, like canned vegetables, canned tuna, marinara sauce, peanut butter and canned beans. This food will be sorted and distributed to our network of nearly 300 agencies throughout our service area.